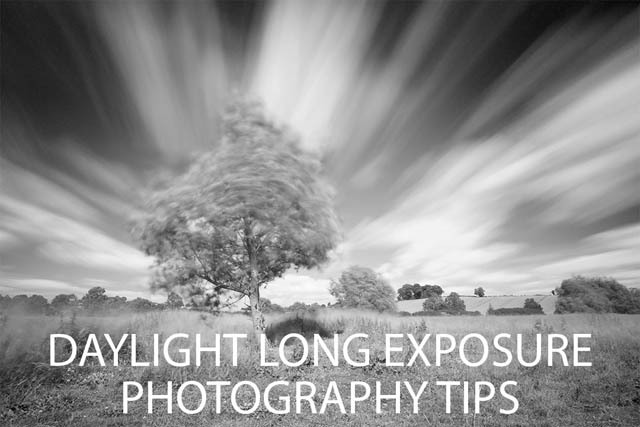 Most landscape photography is carried out during the day, particularly during the 'golden hours' of sunset and sunrise. But have you thought about taking landscape photos after the sun has gone down, when it's dark? 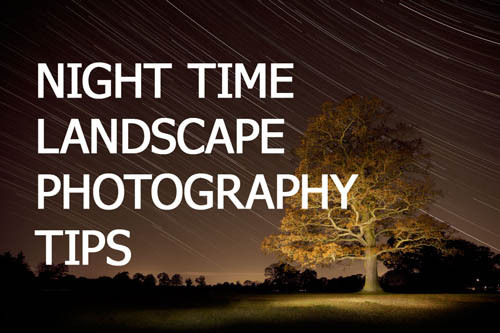 We don't see many landscape photos shot at night, mainly because of the extra effort that has to go into a night photo. But landscapes at night can make for some great photographic opportunities. 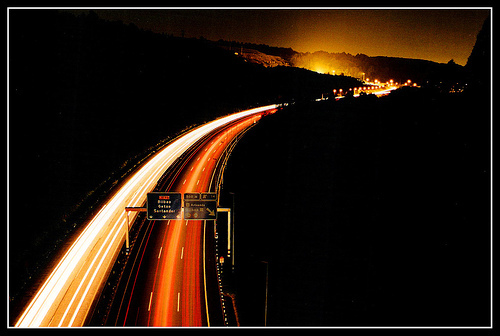 Light trail photography involves capturing long exposure photos of moving lights, usually cars moving along a road at night. As the cars move across the frame, the bright headlights (and rear lights) create a long streak. Because the cars themselves are not well lit, and move across the frame, they do not appear in the final image, just the trails left by their lights.